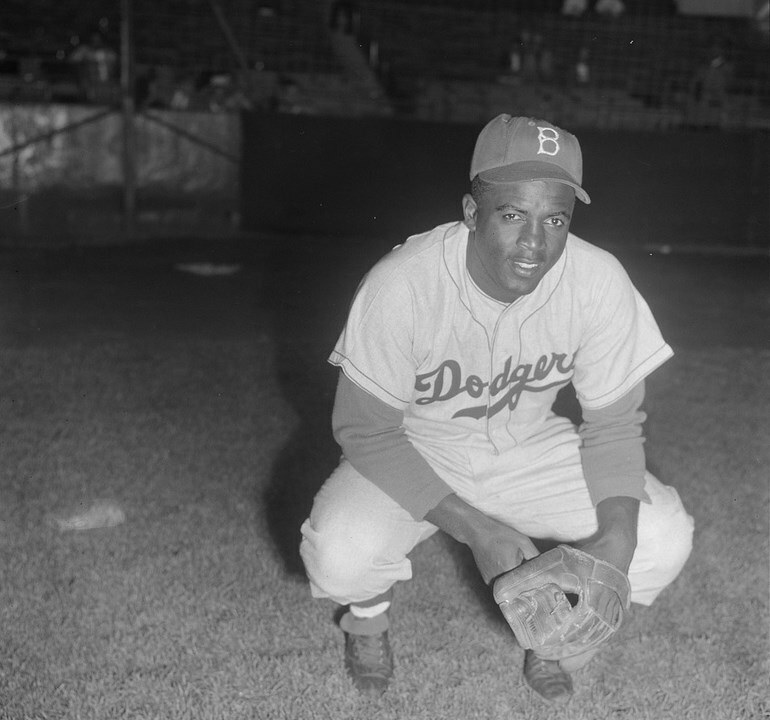 Jackie Robinson’s impact on America’s Pastime, not to mention America, is immense and I lack the vocabulary to properly pay respect to one of the most courageous men to ever walk the Earth. 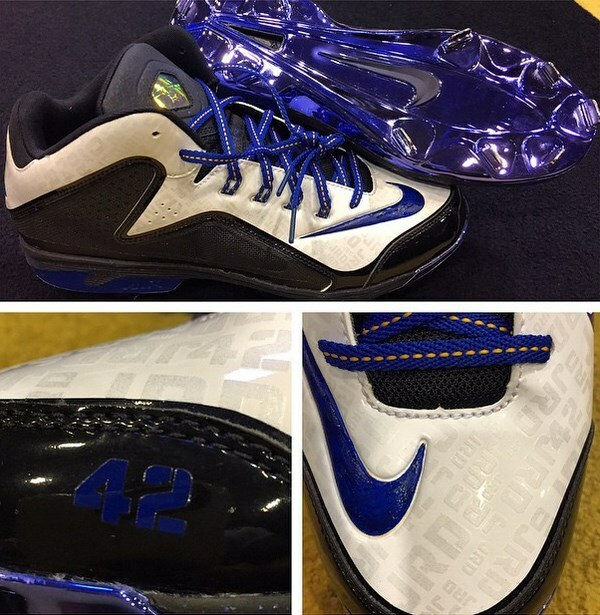 Instead, how about a look at some fancy shoes. 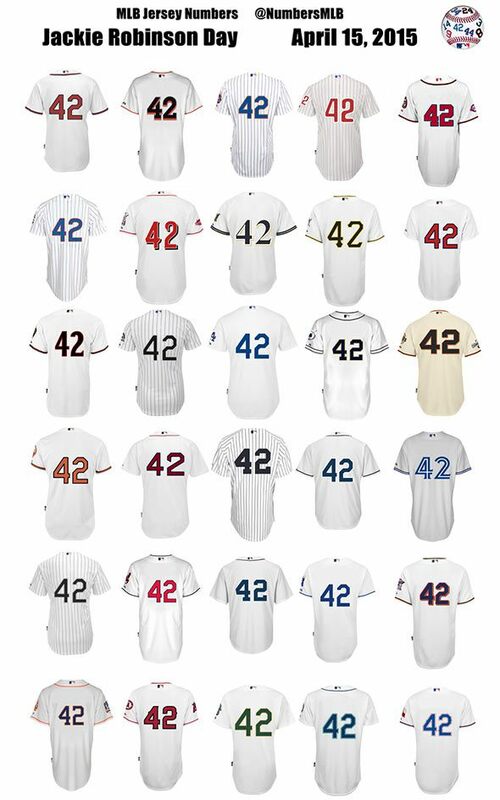 We all know by now the entire league dons 42 for Jackie, but here’s a great look at it from @NumbersMLB. 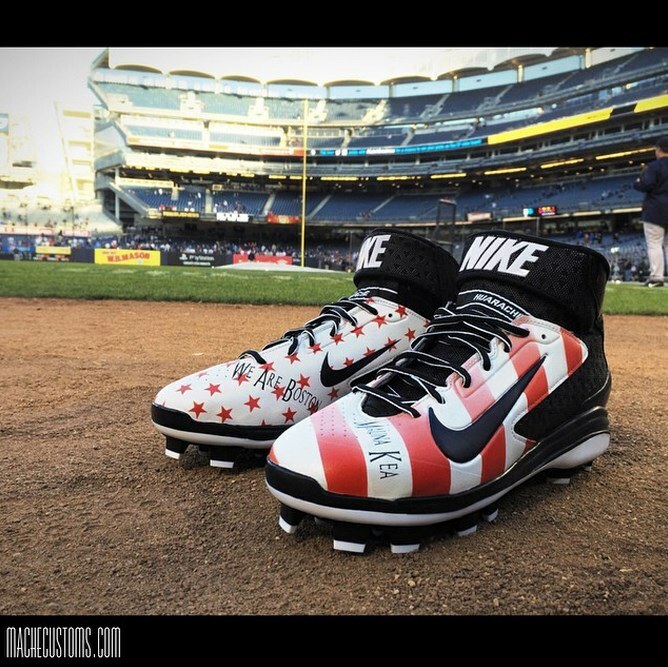 Its gotten to the point where we know we can expect custom cleats on this great day from Andrew McCutchen and Adam Jones (Swingman MVP 2 above), as well as Curtis Granderson, below. 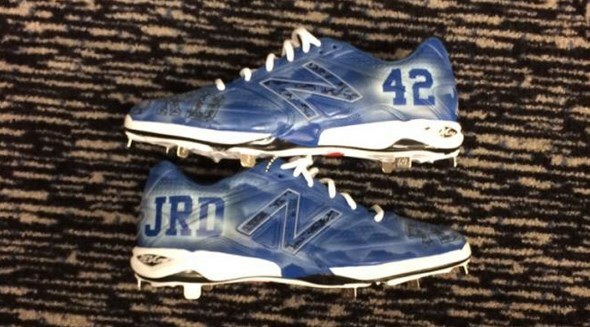 Robbie came through with a pair as well, but if you see something, say something! 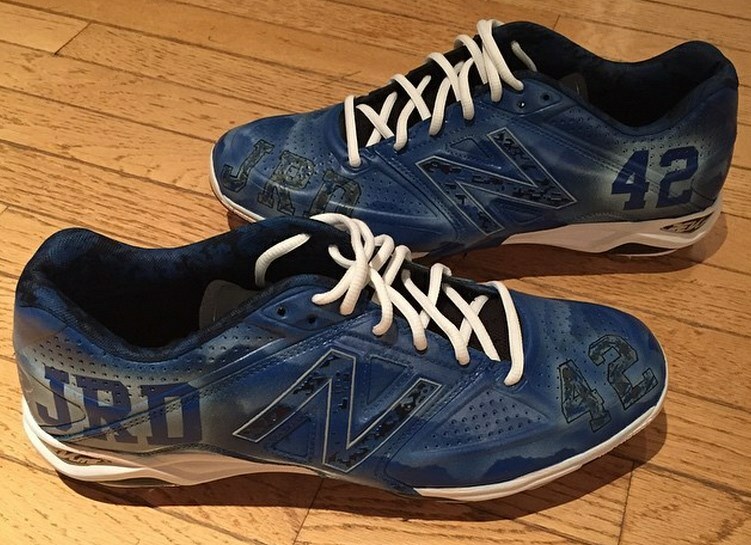 Curtis Granderson’s 4040v2s done by The Sole Revival out of Chicago. 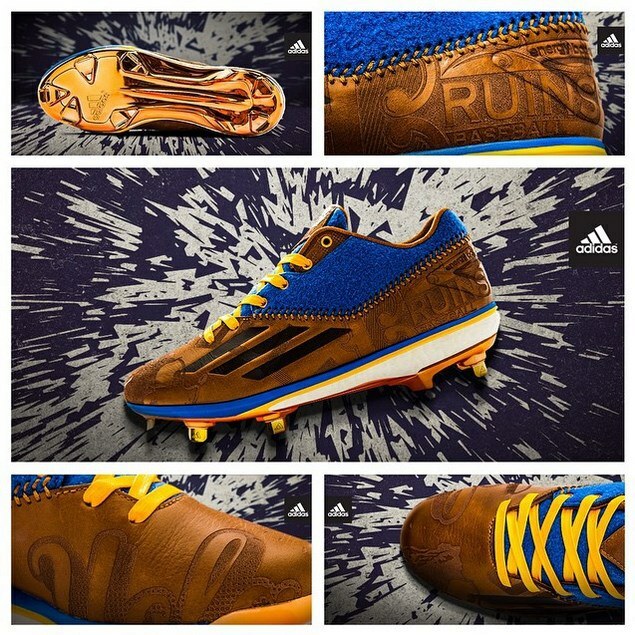 Tomorrow vs Cal, UCLA and adidas will pay their own tribute to Robinson, UCLA’s first athlete to letter in four sports (baseball, basketball, football, track). 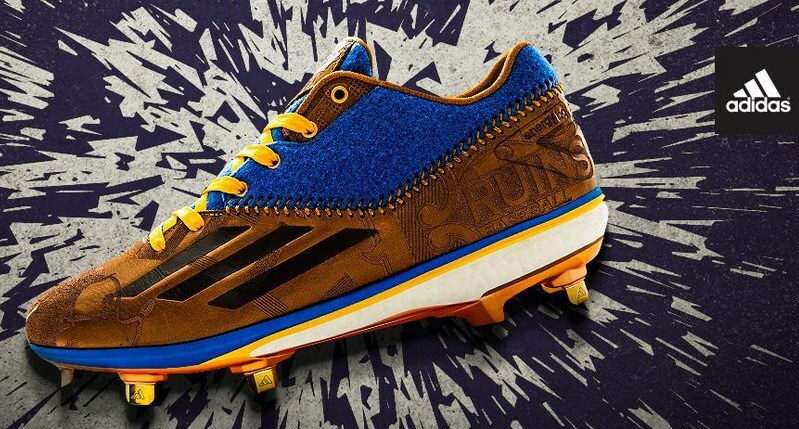 It looks like adidas went with an old school leather look on these Energy Boost Icon cleats, but I’m gonna go ahead and give ’em a big fat THUMBS DOWN. 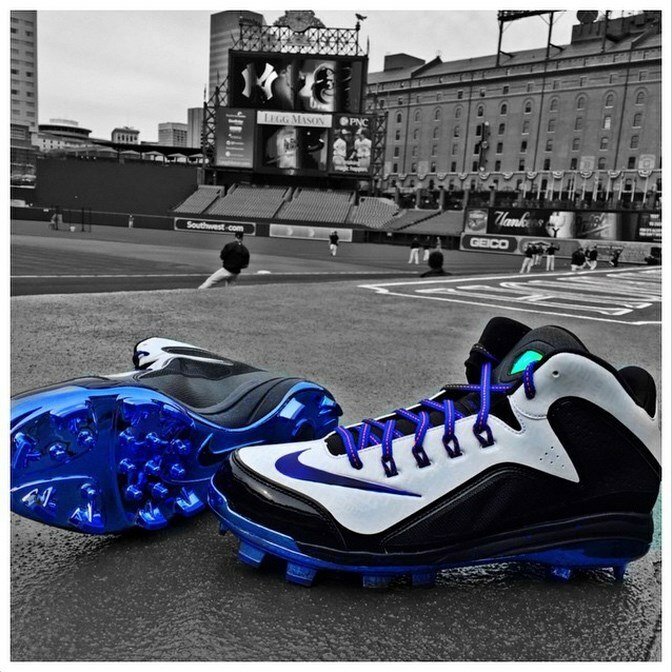 Are you guys into these? The older model New Balance 3000 stars in this custom job. 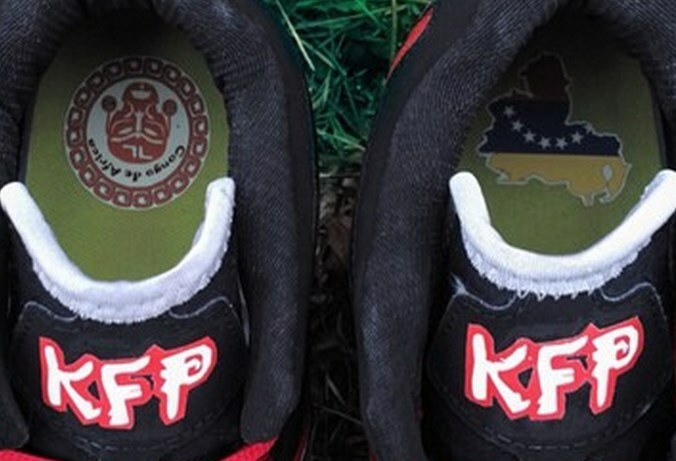 In one shoe is the Congo de Africa logo we’ve seen on Pablo’s bats, and the other has the country of Venezuela. 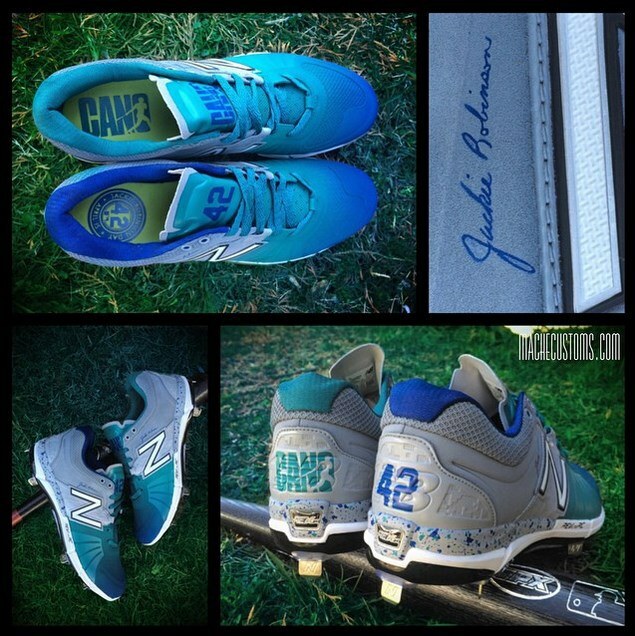 Your guess is as good as mine on the Congo thing, as well as why Pablo chose the older cleats vs. the new ones. 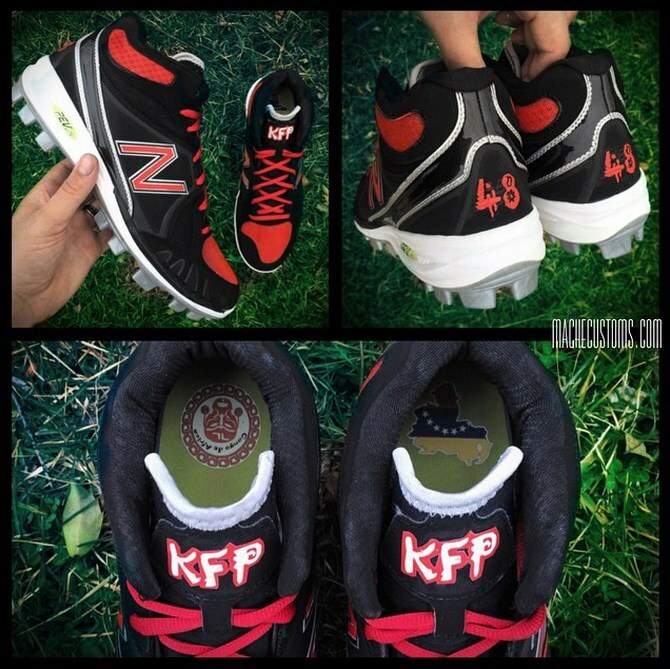 Shane Victorino makes a lot of money and spends it all on custom cleats. Above, a Mache custom job paying tribute to Boston and Hawaii. 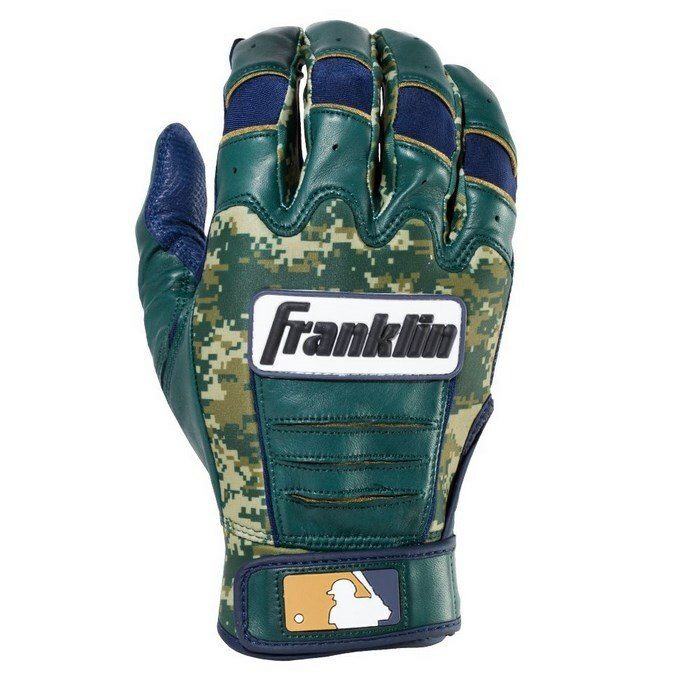 Franklin also posted these, a pair of custom camo CFX Pro batting gloves. I still would have kept the navy out of it. Meant to post this sooner, but this is a good time for it. 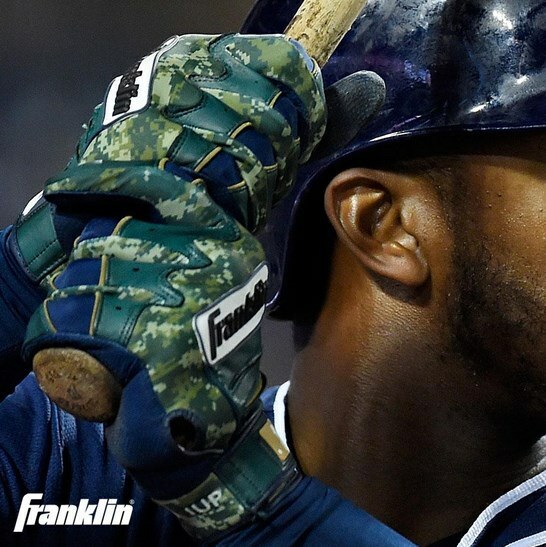 Dustin Pedroia and Justin Upton designing their custom Franklin batting gloves together. Its a good watch for Pedroia’s commentary alone.